Have you lifted your D23 Navara but have found it doesn’t quite handle as good as it should? Well, Roadsafe 4WD and Blackhawk 4×4 may just have the answer! 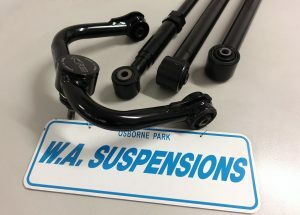 Starting with the ADR compliant Black Hawk Upper control arms (UCA4981N), these fixed position upper control arms are not only stronger than original but the repositioned ball joint adds an extra 3 degrees of caster to give the car more precise steering, something that diminishes the higher you lift the car. Then we move onto the Roadsafe adjustable Panhard rod (APR017). This easily adjustable unit will help to square the back end up, keeping the diff located in the middle of the car. This is important to keep your track even front to rear. 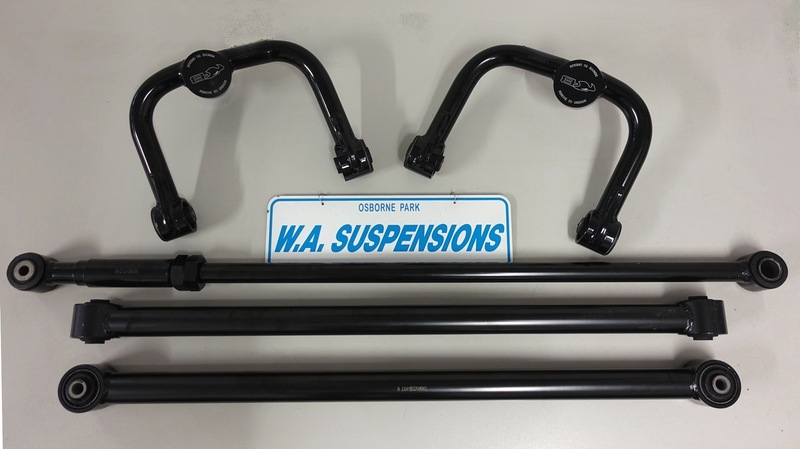 We then finish the kit off with Roadsafe heavy duty lower trailing arms (TANAV23B). These arms are 42mm in diameter and have a wall thickness of 5.5mm making them much stronger than the original. These arms help to keep the rear end in line and stop the car from walking around, keeping everything going nice and straight with confidence. We are offering all of these parts in a special WA Suspensions handling kit (WASUS-D23) for $1,250! For more information or to place an order please contact us via PM, email at wasus@wasuspensions.com.au or on (08) 9444 0500. Delivery and installation available if required.